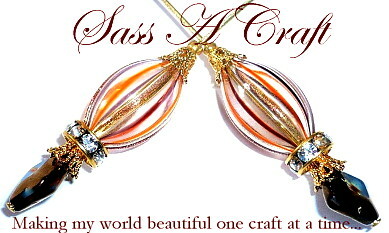 Murano + Swarovski = Sassy | Sass a Craft - Muslim Women are Smart & Crafty Too! Sass a Craft – Muslim Women are Smart & Crafty Too! Of all the beaded accessories that I’ve recently created, these numbers are my favorite thus far. I hope to introduce an earring line soon In Shaa Allaah. Keep an eye out! I'm a crafty American Muslimah, herb-nut, mommapreneur justa' beading and hot gluing my migraines away in KSA. Sassy Find for the Month of Dec. Broken Mini Blind Rod: Key Chain Loop to the Rescue!